So today is boxing day, a day I was made to understand that you unwrap the gifts you got on xmas day. Biko who has that patience? Or do you know otherwise? ? Google was saying too much so I just walked past. 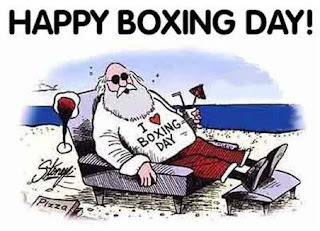 Anyway, happy boxing day everyone. Please manage this little richard cards and lets know when you load it. Keep refreshing the comment box for more. Eyahhhh OK ooo even this last one nor reach my hand.. Lol happy boxing day everyone. Nice. But I missed Richard. When is he coming again? Shoki ahhhhhhh - how are you nne? My baby girl has started very well. Am proud of u darling. Though I didn't get any richarge card but am happy on wat u are doing. Keep it up. May the Lord support u.
Ehn eeeeeeeehn? I missed these already. No wahala sha. Happy boxing day the remaining of today. Bea, even you! There is God oooooooo! I go boxing, you go sharing r-cards...hmmm! Anyways. congrats to all that got them. Nice one, gonna be frequent here. www.kayodesblog.in for motivating and inspiring updates. Look Who Got Her Hands Busy!!!!! !